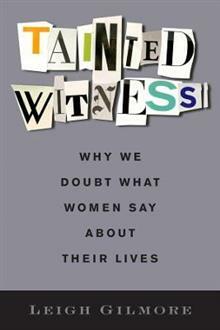 Tainted Witness examines how gender, race, and doubt stick to women witnesses as their testimony circulates in search of an adequate witness. Bringing together feminist, literary, and legal frameworks, Leigh Gilmore provides provocative readings of what happens when women's testi... read full description below. In 1991, Anita Hill brought testimony and scandal into America's living rooms during televised Senate confirmation hearings in which she detailed the sexual harassment she had suffered at the hands of Clarence Thomas. The male Senate Judiciary Committee refused to take Hill seriously, and the veracity of Hill's claims were sullied in the mainstream media. Hill was defamed as a little bit nutty and a little bit slutty, and Thomas was confirmed. The tainting of Hill and her testimony are part of a larger social history in which women find themselves caught up in a system that refuses to believe what they say. The Anita Hill case shows how a tainted witness is not who someone is, but what someone can become. Tainted Witness elucidates how persistent and pernicious patterns of doubt attach to women who bring forward accounts of sexual and racial violence. Reactions to Anita Hill's testimony as well as Rigoberta Mench 's account of genocide in Guatemala, contemporary memoirs that chronicle experiences of gendered and racialized violence, and news stories like Nafissatou Diallo's claim that Dominique Strauss-Kahn raped her, demonstrate the reflexive processes of judgment that discredit women's complex accounts of harm, both in legal courts and courts of public opinion. The accelerated tempo of scandal is crucial to tainting women witnesses. The rush to judgment encourages framing testimonial conflicts in terms of who is telling the truth and who is lying, with the presumption that this is an adequate and meaningful testimonial test. Such a framing, however, prevents witnesses from providing adequate context for their testimony and especially elides histories of slavery and colonialism. 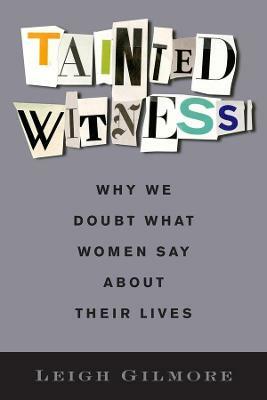 Leigh Gilmore examines what happens when women's testimony is discredited, but also traces the circulation of testimony beyond the frame of scandal and its capacity to bear witness anew.